Frequency discount rates are constituted by display print ads, connection newsletter display ads, and web display ads. * Only 120 Connection Banner ads available per year. Reserved on a first come, first served basis. 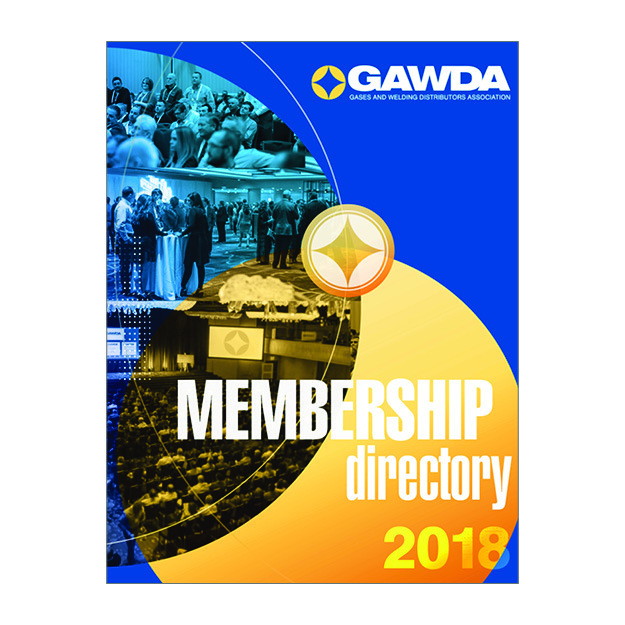 GAWDA’s annual Membership Directory and annual Buyers Guide have a clean, fresh look and convenient formatting that makes it easy to find members and obtain their essential contact and product information. The GAWDA Membership Directory is the most extensive directory our industry offers. It contains key contacts for all member companies, allowing members to communicate directly with those they’re trying to reach at other GAWDA companies. The Membership Directory’s easy-to-read format features pages that are color-coded. Red pages present Distributor listings and blue pages represent Suppliers. And — back by popular demand — this year’s directory features a special section of distributor listings by geographic location. 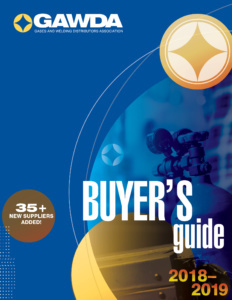 The Buyers Guide is a comprehensive listing of GAWDA supplier members. It’s an excellent way to find new offerings to add to your business — or to look for new and additional sources of the supplies distributors need every day. The Guide also serves as a helpful tool for wholesalers and suppliers who want to find new strategic partners as a way to build business for both parties. Additional Categories $90 — good for Print and Online Buyers Guide. Your Text ad and logo appear each time your listing shows up throughout the Buyers Guide. A self-service communication platform for members. All active GAWDA Suppliers have a listing and equal opportunity to enhance their listing with a sponsorship to expand capabilities. View the GAWDA MEDIA sample listing. Article posted on buyersguide.gawdamedia.com website for 1 year. 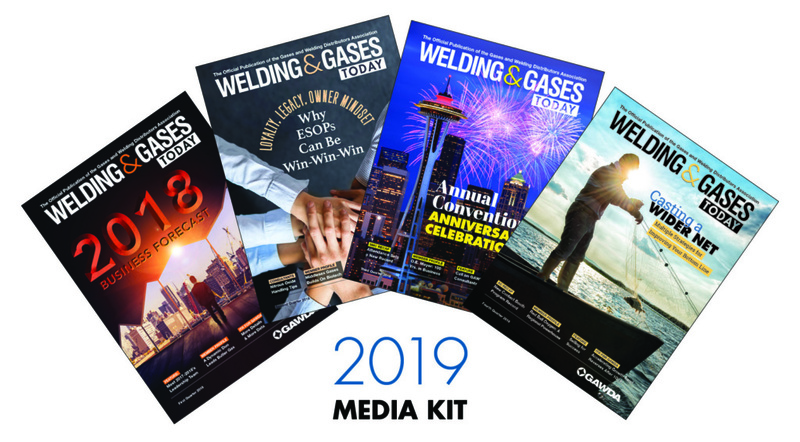 Article posted on buyersguide.gawdamedia.com website for 1 year, announced in GAWDA Connection newsletter, and on GAWDA Media social media platforms — Linkedin, Facebook, Twitter, option for our editors to assist in writing and editing, full-page advertorial in upcoming quarterly issue of Welding & Gases Today. For right-hand page, far forward, multiple page rates, assistance composing an advertorial or other special requests, consult your Relationship Manager. Ad copy and imagery for bleed ads MUST remain within live area dimensions. opens of the newsletter and who clicks the ad. Banner Image Size: 600×300 pixels. Logo Size: 200 pixels wide. One per issue. These Banner Ads show up in the GAWDA Connection. This includes statistical reporting, including total opens of the newsletter and who clicks the ad. These Banner Ads show up on the landing page, which is the most viewed information in the GAWDA Connection. This includes statistical reporting of how many clicked on Member News. We strongly encourage our advertisers to submit their advertisements in digital form. If you do require our Creative Services Department to create your ad*, please discuss your needs with your sales representative. No Microsoft Word, Microsoft Publisher, PowerPoint or other word processing files will be accepted. • Ads should be built to the exact print size and files preflighted. • All images must be a minimum of 300 dpi. • Colorspace must be CMYK. No RGB or Spot colors. • Add 1/8” bleed when appropriate. • Black type and large areas of black should be 1-color black. • Minimum size type fonts: 6pt (black only). • Minimum size reverse type fonts: 9pt. • Provided logos must be high resolution, preferably 300 dpi and larger than 2”. 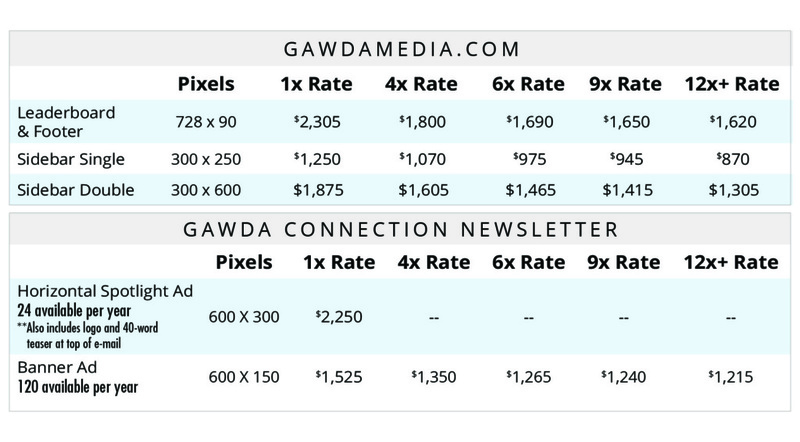 • If any of the above requirements cannot be met, GAWDA MEDIA may require additional production time to recreate your ad. *If you are supplying art/photos/logos for an ad that we are constructing, we accept tif and jpg files that are 300 dpi per inch (dpi) or at least 600 dpi (for line art). Please notify your sales representative when e-mailing an ad. Larger files may need to be “zipped” and/or loaded to an ftp site or Dropbox. Press releases should be emailed directly to Tim Hudson at TimH@gawdamedia.com. Photographs taken with a digital camera and included with submitted materials must be high resolution (300 dpi) and suitable for publication.